What is the first thing that comes to your mind when you think of Utah? 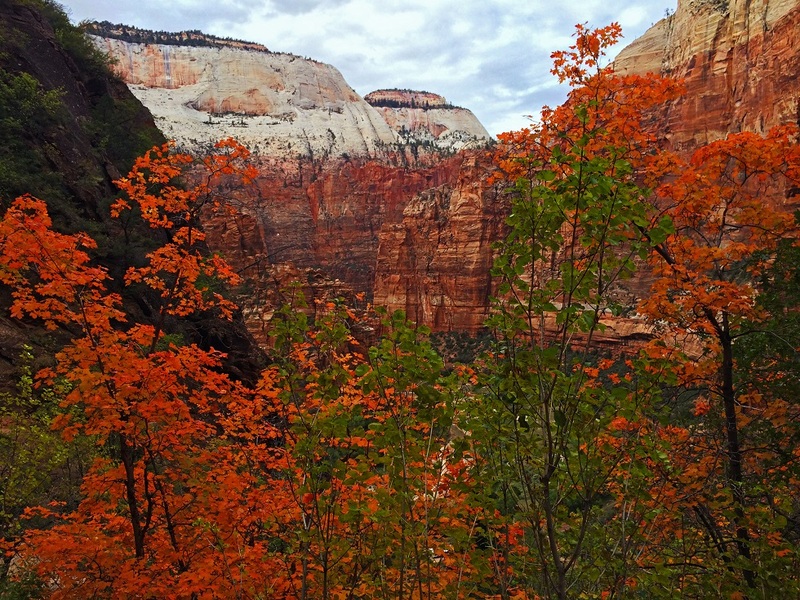 Since last October, it’s Zion National Park for us. We’ve never even heard about it when we lived in Europe and after visiting it, I really don’t understand why it is not as famous as Grand Canyon or Yosemite. But probably it’s for the best, because this small park (I mean small compared to other national parks in the US, of course :)) got very busy in the last couple of years as it’s getting more and more popular among Americans. 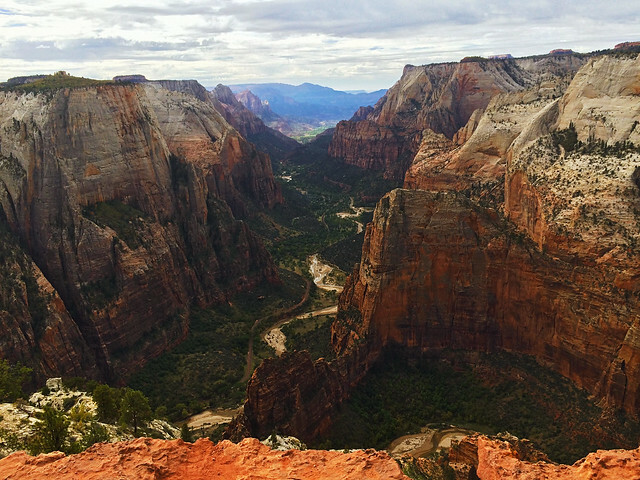 Our favorite panorama is the view from the top of Angels Landing. It was also the most challenging trail with the last section on a steep, narrow ridge to the summit, holding onto chains almost all the way. You don’t have to be professional or have any special equipments to do this hike (we don’t consider proper shoes a special equipment, you just can’t hike in flip-flops – period), just be careful, use your common sense and enjoy this unique experience! The most charming walk was the Riverside Walk along Virgin River. 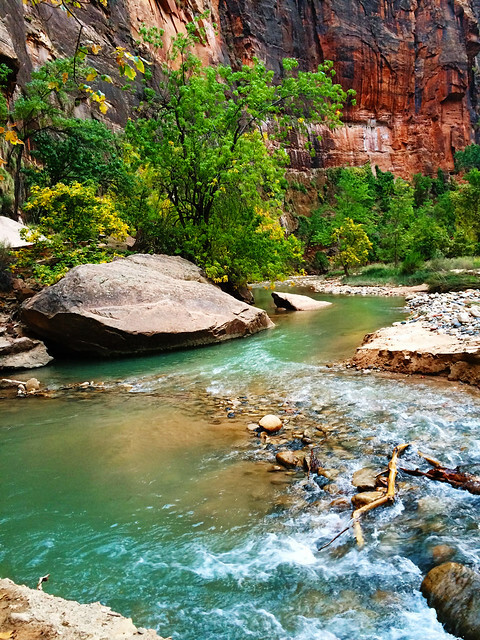 It’s short and easy, I won’t even call it a hike, but you will be rewarded with gorgeous views of this clear, greenish blue river and the huge canyon walls. 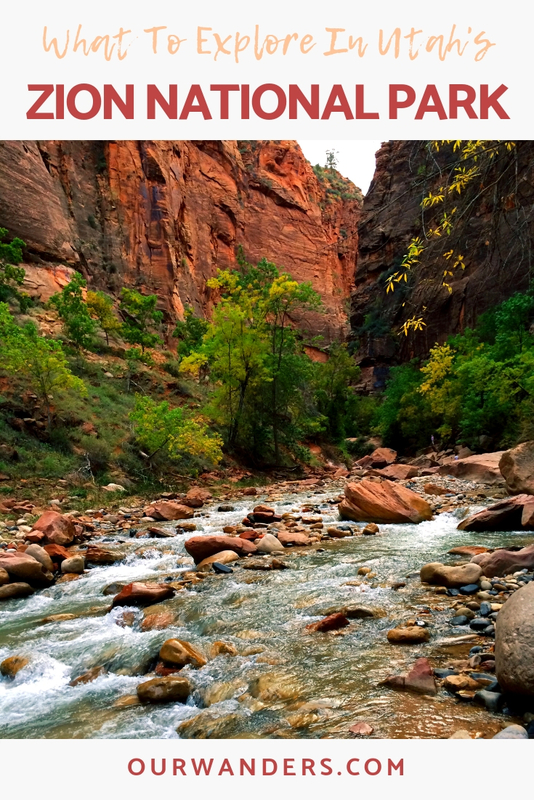 There’s a lodge in the heart of Zion Canyon which is the best location however it’s expensive and overbooked. We stayed in a smaller town called Hurricane which is just 35 minutes drive from Zion Canyon Visitor Center. 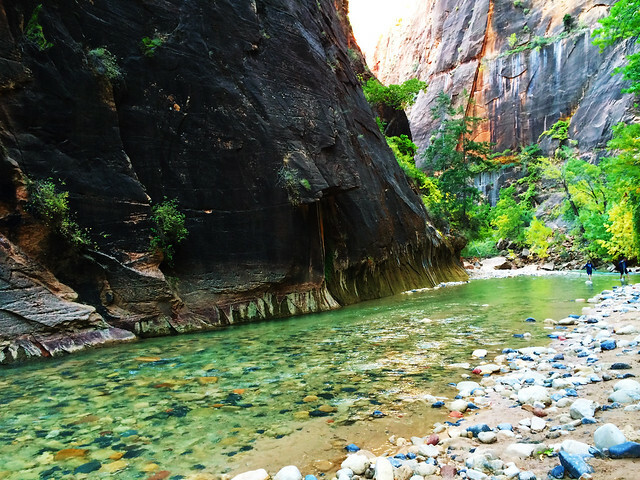 Best time to visit Zion is September-October when summer thunderstorms are over, weather is still sunny and dry and temperature is not too cool yet. Oh, and fall colors are beautiful! 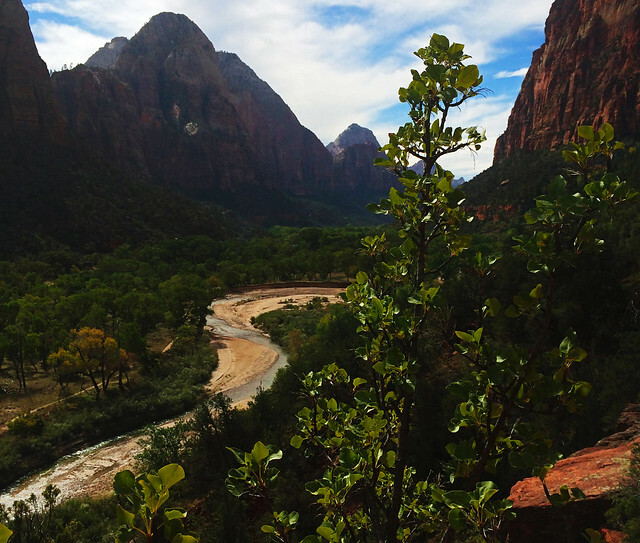 I highly recommend to check out the official page of National Park Service about Zion if you plan to visit, because it has the latest information about weather, road and trail conditions, entrance fee, park shuttle bus schedule and you can also download detailed trail maps there. If you plan to visit more national parks in the US within one year, you should consider buying an annual pass which covers entrance fees at national parks, national wildlife refuges and national forests – and it covers the fee not only for the driver, but for all passengers in a personal vehicle. However, it doesn’t cover entrance fee for state parks, that’s good to keep in mind. 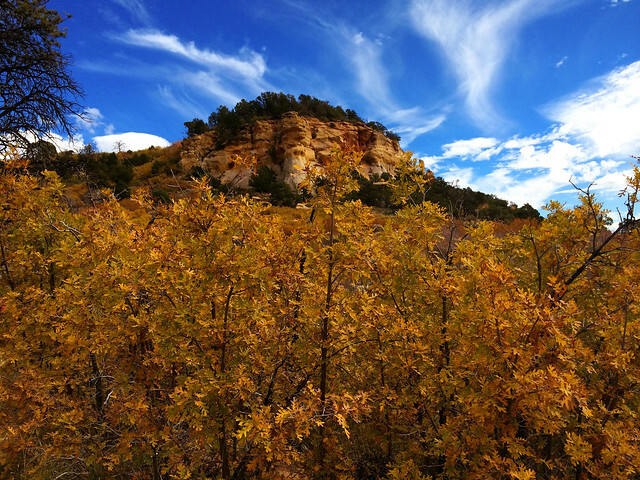 Do you have a favorite ‘hidden treasure’ national park? What do you like about it?